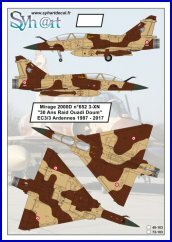 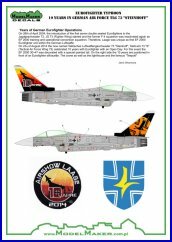 In 1997, three events took part on Florennes AB ; the double anniversary with the 80 years of the 1st and the 2nd Squadrons, and the arrival of 350th Squadron from Beauvechain. 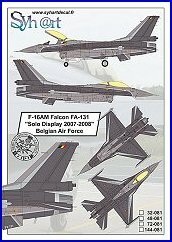 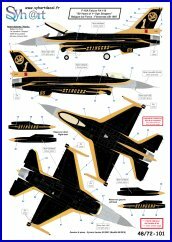 - F-16A Falcon FA-110, in black/gold scheme for the 80 Years of 1st Sqn "Stingers". 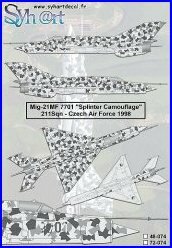 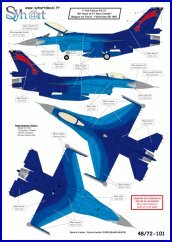 - F-16A Falcon FA-72, in blue scheme for the 80 Years of 2nd Sqn "Comète". 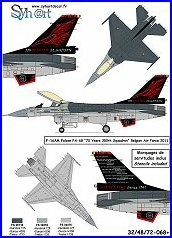 - F-16A Falcon FA-115, in red/grey scheme for the arrival of 350th Sqn on Florennes. 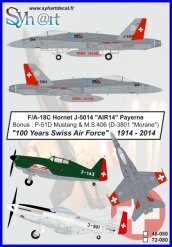 If the last never yet been release by any decals, the firsts are now availables. 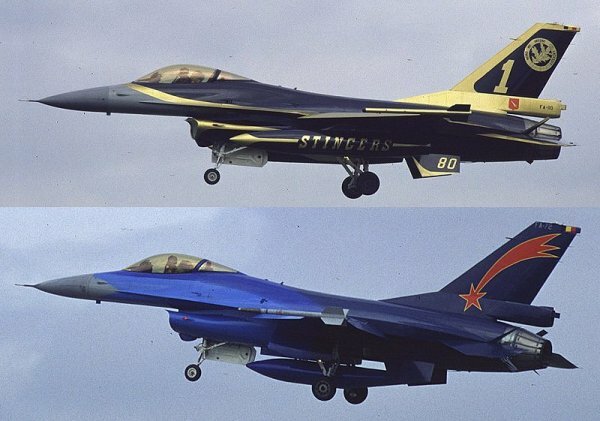 Contrasting with gloss black base, surrounded by gold edges and markings including on fuels tanks, it results tasteful scheme. 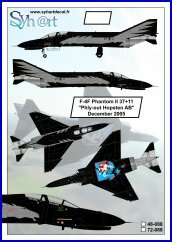 As the FA-72 and FA-115, it flown with in this scheme for few years to appling Air to Air interception, including during TLPs (NATO Tactical Leadership Programme) which took place on Florennes AB till July 2009. 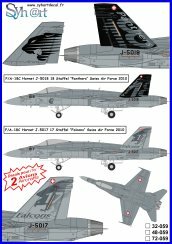 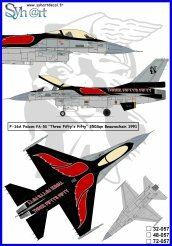 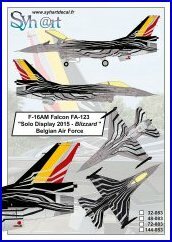 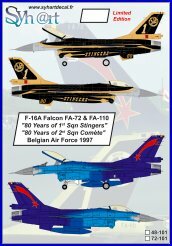 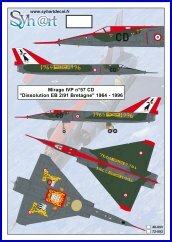 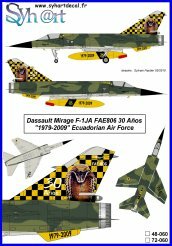 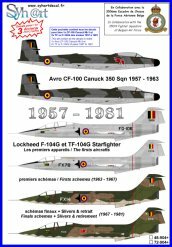 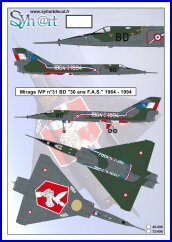 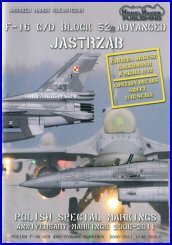 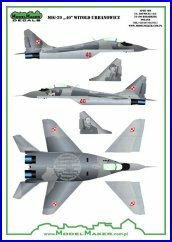 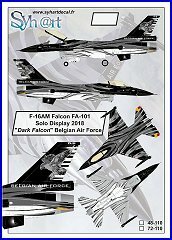 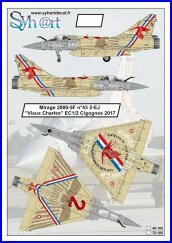 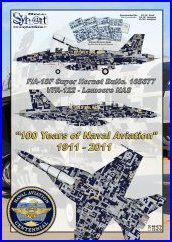 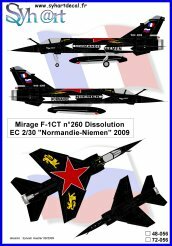 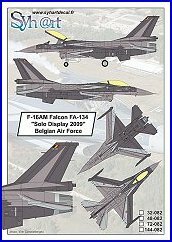 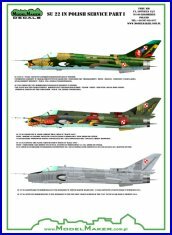 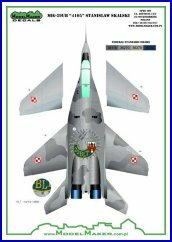 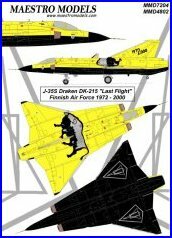 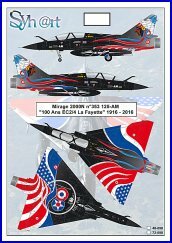 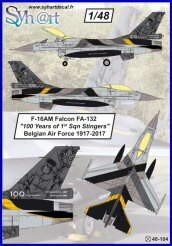 - See also the F-16 painted for the 100 Years of 1st Squadron in 2017 (Syhart 104). 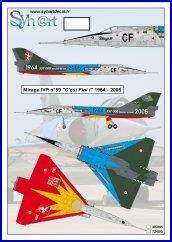 Consisting of three shades of blue along the fuselage and a red comet on the tail, it results in elegance. 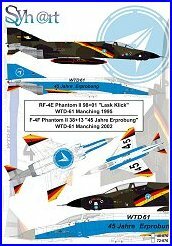 As the FA-110, and FA-115, it flown with in this scheme for few years to appling Air to Air interception, including during TLPs (NATO Tactical Leadership Programme) which took place on Florennes AB till July 2009. 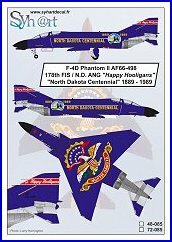 Today the 2nd Squadron is disbanded. 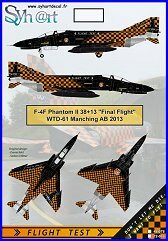 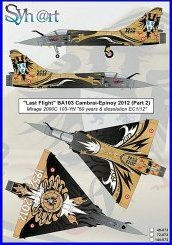 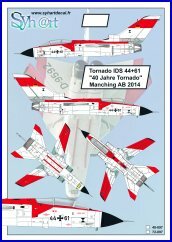 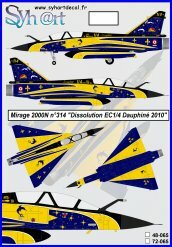 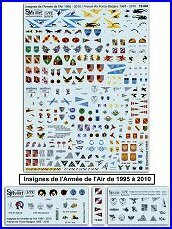 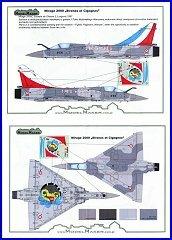 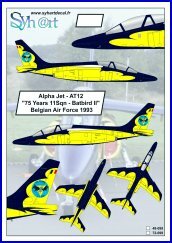 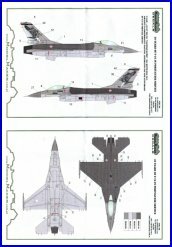 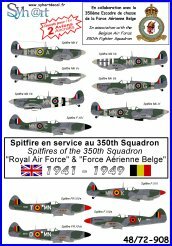 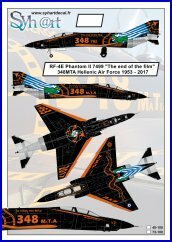 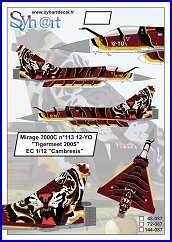 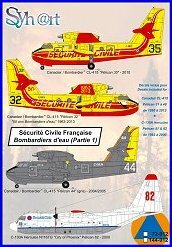 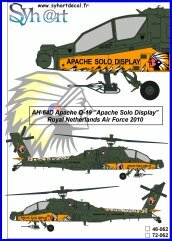 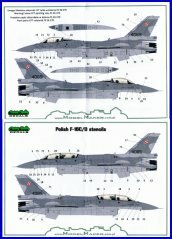 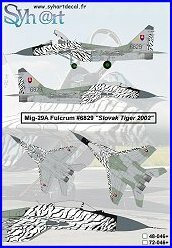 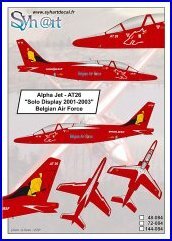 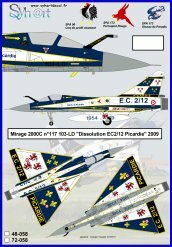 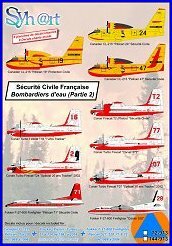 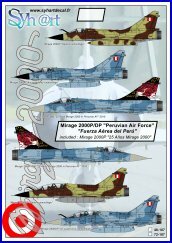 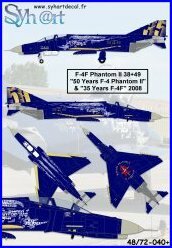 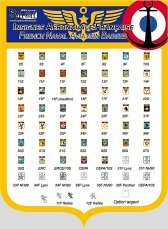 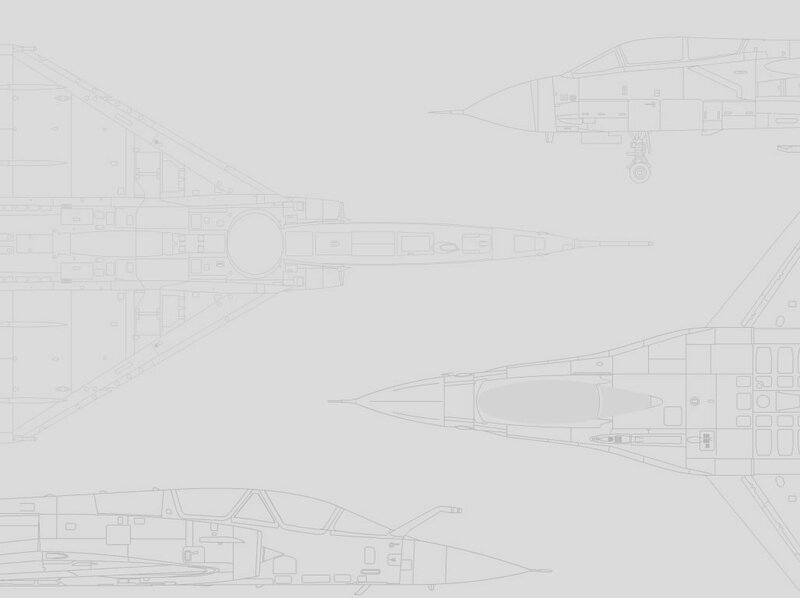 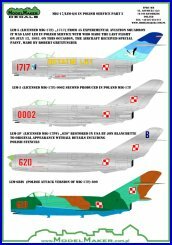 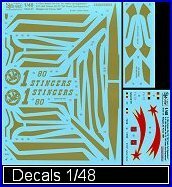 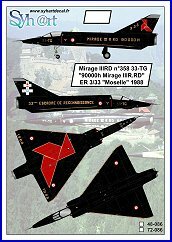 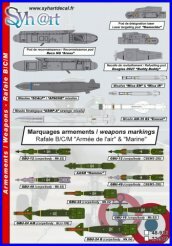 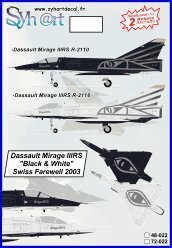 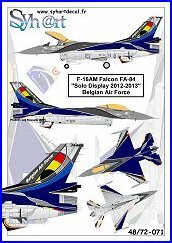 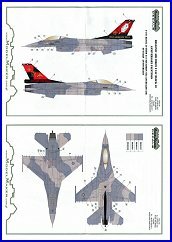 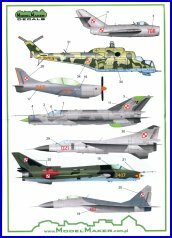 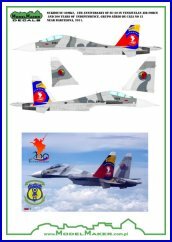 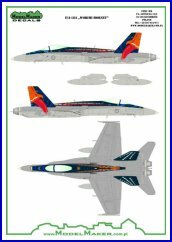 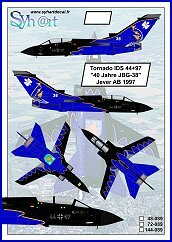 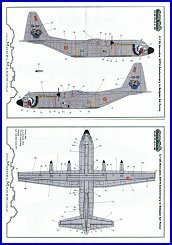 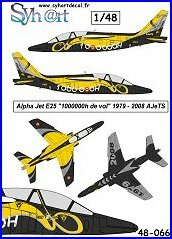 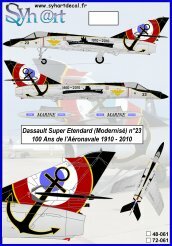 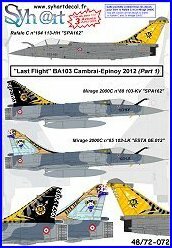 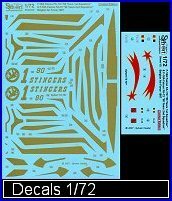 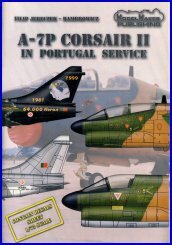 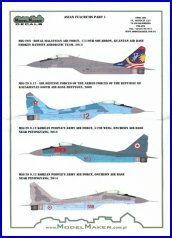 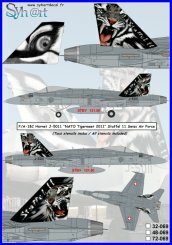 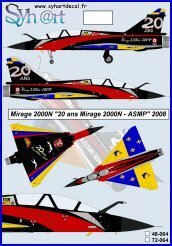 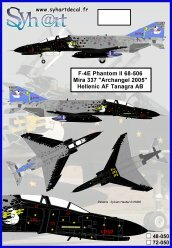 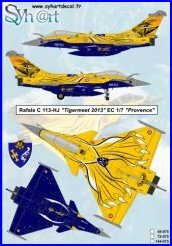 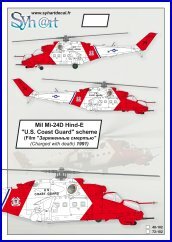 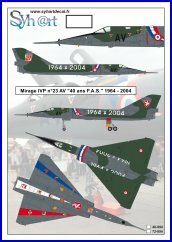 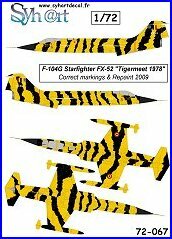 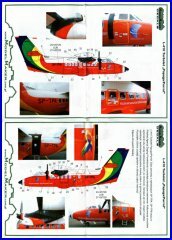 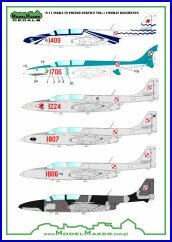 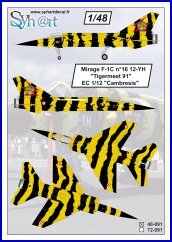 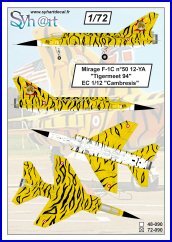 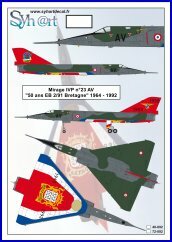 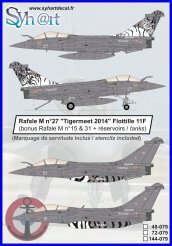 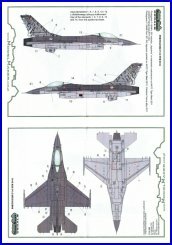 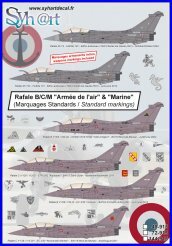 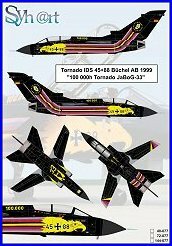 This decals set is a limited edition, it contain all markings to complete this two aircrafts.